That said, if you ever end up with 5 cards on your Virtuoso and 0, 1, or 2 of them (< 3) are Dreads, you go Insane from all the Doubt! Turn your card horizontally and use the Insane Turn to determine your actions, depending on when it happens. Also note that if you go insane, you flip your Gemina. If it’s face-up, it turns face-down. If it’s face-down, that counts as revealing it! 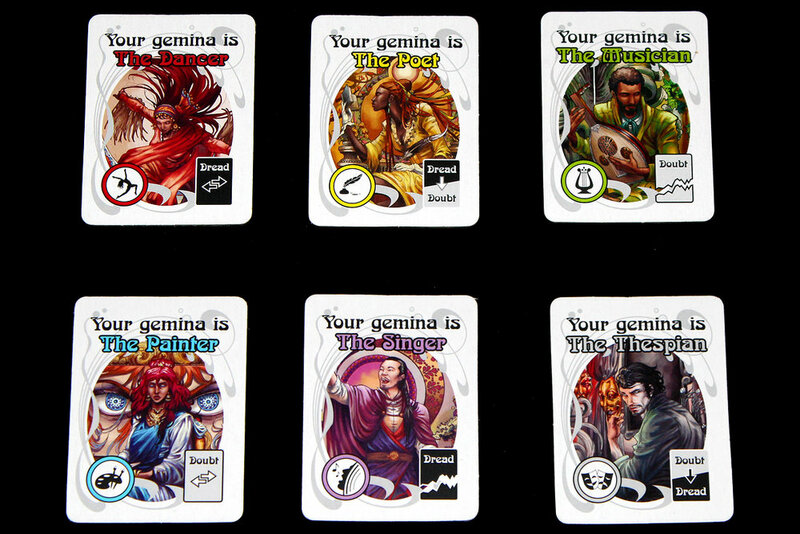 However, instead of you taking the Dread, your Gemina takes the Dread! This can trigger a chain reaction, as if your Gemina is already Insane, you replace one of their Doubts with this Dread.